As documentation needs evolve under health care reform, it's more important than ever for Podiatrists to choose a comprehensive, easy-to-use EMR for Podiatry that seamlessly integrates with existing practice flow. PrognoCIS, our cloud-based ONC-ATCB and CCHIT-certified EMR for Podiatrists, simplifies charting and enables secure communication with other physicians and medical facilities. PrognoCIS is an affordable web-based Podiatry EMR that helps your practice achieve Meaningful Use compliance and gives you and key staff anytime, anywhere access to essential patient information. Scalability - RevenueXL's Podiatry EHR software is scalable to provide solutions to both solo physicians and mid-sized ENT practices with multiple locations. Improve Patient Care – Podiatrists have all of the necessary patient data and notes at their fingertips thanks to the best Podiatry EMR software available. Automatic personalized notifications and patient profiles also make it easier for Podiatrists to build lasting positive relationships with patients and their families. Free Meaningful Use Package – Receive our Meaningful Use Package at no additional cost, which includes many features such as the Patient Portal, Lab Connectivity, and the eRx. Our Podiatry Meaningful Use Compliance Dashboard helps Podiatrists to ensure that they are meeting all requirements for incentive reimbursements. Our cloud-based Podiatry EHR saves your practice valuable time and money and helps you easily track your MU objectives. Our Certified EMR for Podiatrists harnesses the power of SaaS technology to drive down IT costs and enhance physician convenience. PrognoCIS works across all desktop and mobile devices including tablets and smartphones for 24/7 access to the information you need. Our cloud-based Podiatry EHR is completely scalable, making it affordable for small and mid-sized practices. With traditional server-based EMRs, implementation and maintenance costs can be prohibitive. Our web-based Podiatry EMR is fully functional even offline for times when Internet connectivity is unavailable. PrognoCIS is customizable--your EMR works with your practice, not the other way around. When you choose our cloud-based Podiatry EHR, our Implementation Specialists customize your templates and tailor the EHR to the workflow in your practice. Implementation is virtually effortless, leading to fast return on your investment. 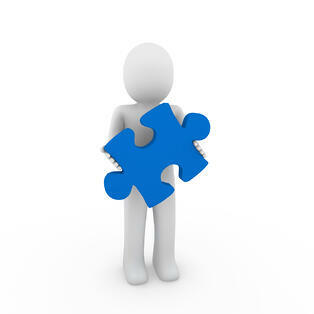 PrognoCIS also comes with unlimited technical support via email, phone and online chat. 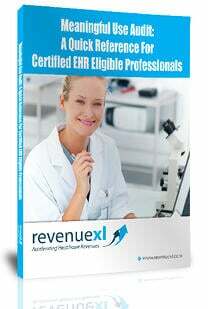 Our Certified EMR for Podiatrists pairs with our Practice Management package for enhanced revenue cycle management and expedited insurance billing and reimbursement. It also integrates seamlessly with your existing practice management software. While integration between EMR and Practice Management is highly recommended, you can choose to implement our Podiatry EMR alone and interface it with your existing medical billing software.